Former US Attorney General Eric Holder—the guy who filed a criminal complaint against Edward Snowden for three felony violations of the Espionage Act—is now hinting that Snowden could strike a plea deal if he came back to the US. In an interview with Yahoo News, Holder acknowledged that Snowden’s whistleblowing started a “necessary debate” about privacy. In January, then-Attorney General Holder said that the Department of Justice would “engage with his lawyers” if Snowden wanted to come back to the US, but only Snowden fessed up as guilty. Clemency was off the table. “The former attorney general’s recognition that Snowden’s actions led to meaningful changes is welcome,” Snowden’s attorney Ben Wizner told Yahoo. “This is significant … I don’t think we’ve seen this kind of respect from anybody at a Cabinet level before.” Snowden has been resolutely opposed to returning to face jail time, something that Holder surely knows. 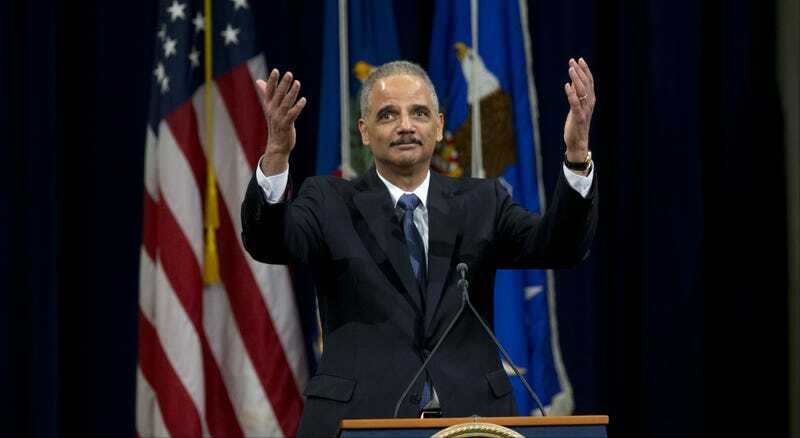 Of course, Holder’s not the Attorney General anymore, and a spokesperson for Attorney General Loretta Lynch told Yahoo that the office’s “position regarding bringing Edward Snowden back to the United States to face charges has not changed,” so it’s not like Holder is voicing any official opinion. Still, this is one of Snowden’s most aggressive initial opponents substantially softening his stance against the former NSA contractor.